Creating a successful blog of any niche need requires a combination of passion, hard work and skills. However, all these things can be learnt on the job and as you pick and lose that which works or doesn’t work for you. Make it short, memorable and striking, such that readers will have an easy time relating and referring to it. Try to be precise. Preferably let your readers know what your blog is all about right from the name. You will need to store the data on your blog somewhere on the internet. Hosting simply refers to “renting” space on the internet where you store your data which may include photos, video, write-ups and so on. Several companies offer these services but you need to dig a little more for the pros and cons. Once hosting is done and you and before you go all public and make that life-changing announcement to the world, ensure that all is set. If for instance there are purchase to be made, make sure the system doesn’t disappoint, at least from your end. 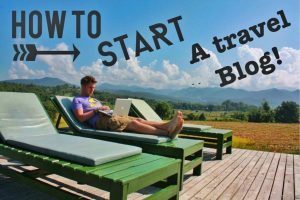 The only reason why people will come to your site repeatedly to your travel blog is because you have what they are looking for. Make your content awesome. Research widely, write well and of course travel more. Article submitted by Dev Randhawa. Dev Randhawa writes about travel full time, and highlights the best destinations around the world in his blog.